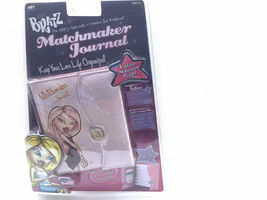 Description: Bratz matchmaker journal and digital new in sealed package. Very rare! 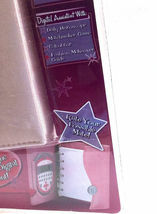 Journal has a 30 page diary, 19 page address book and 10 page birthday organizer. 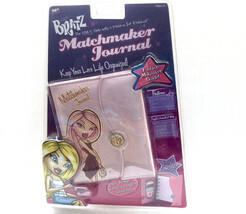 Digital Assistant with real working calculator, matchmaker game, fashion makeover guide and daily horoscope. 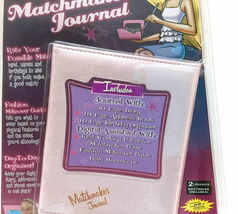 Day-to-day organizer keeps your daily diary, addresses and phone numbers all in one place. 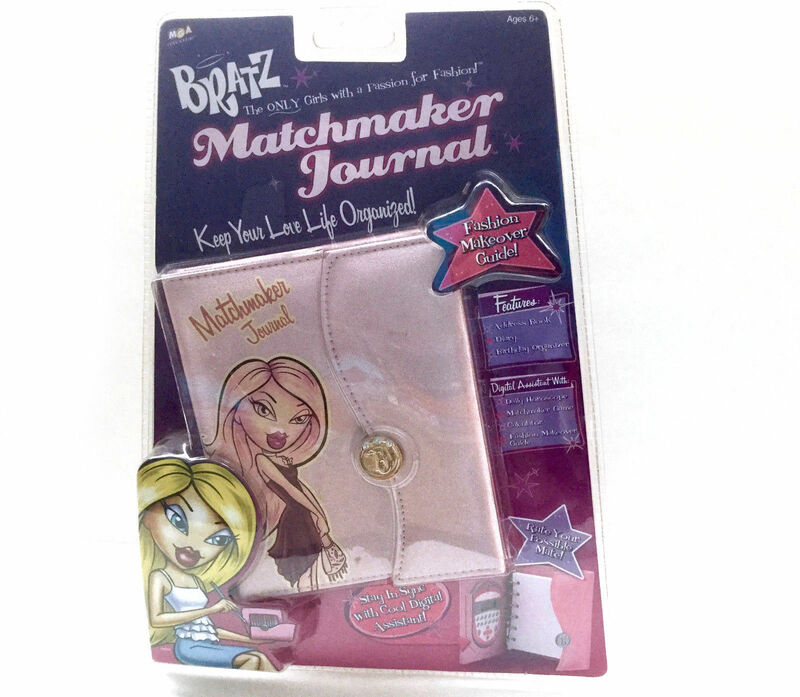 Ages 6 The Bratz Matchmaker Journal not only operates as a standard personal organizer, with tab-divided pages for monthly, weekly, and hourly planning, addresses, notes, expenses, etc. 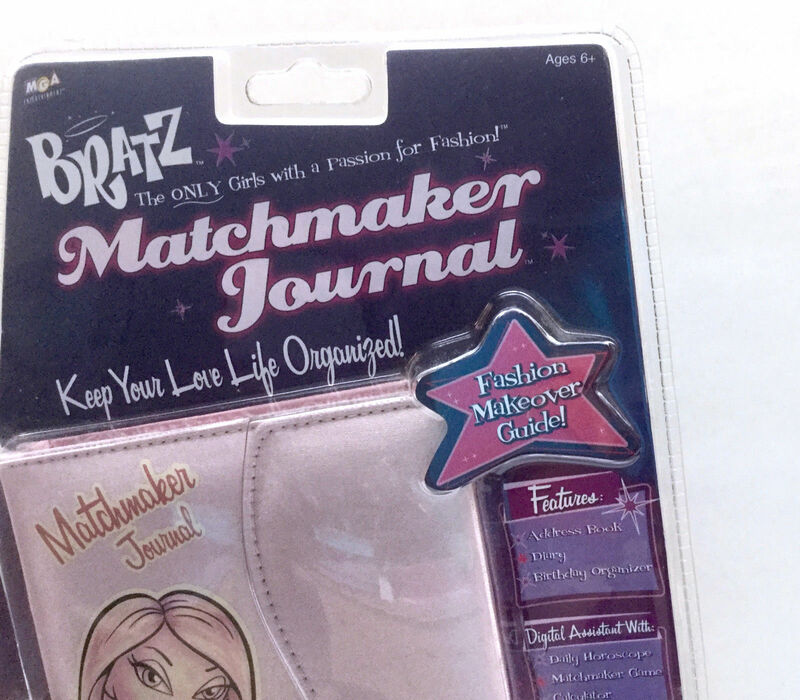 It also features a removable mini-calculator device with various modes to explore relationships, personalities, and even compatibility with partners! 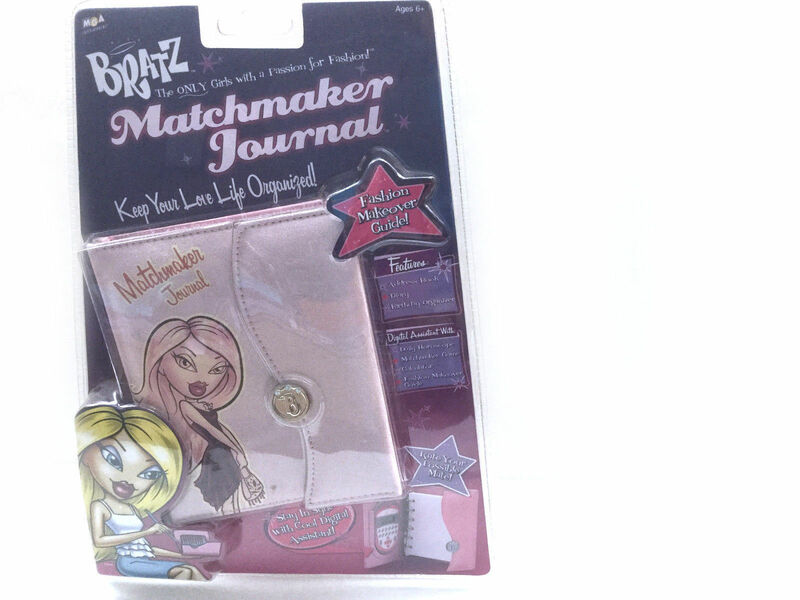 Analyzing the answers to a series of yes/no or multiple choice questions, the Analyze This! mode then determines the respondent's psychological makeup. 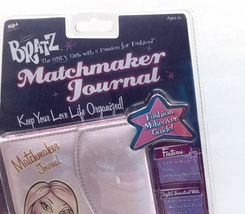 The Matchmaker mode will determine from birth dates the compatibility of two people. It's all fun and games, of course, but certainly entertaining for a little while. 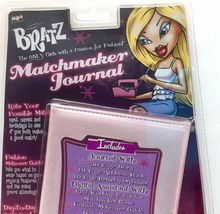 And useful as a planner and calculator for the long haul! Rate your possible mate: Input names and birthdays to see if you both make a good match. Fashion makeover guide tells you what to wear based on your physical features and the event you're attending.